Point2 Homes gives you far more than a simple list of houses for sale. 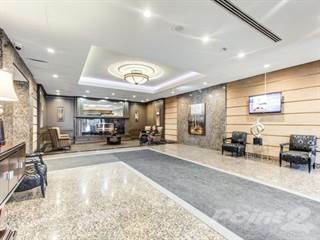 Get instant access to a lot of relevant information about Bridle Path, Toronto, ON real estate, including property descriptions, virtual tours, maps and photos. The search results pages also have a wealth of information on Bridle Path, Toronto, ON, if you scroll all the way down. 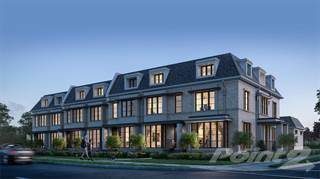 There are 14 houses for sale in Bridle Path, Toronto, ON. 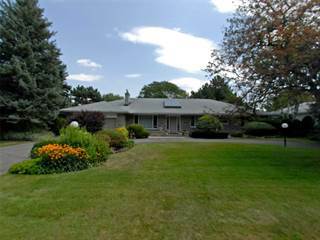 Searching homes for sale in Bridle Path, Toronto, ON has never been more convenient. With Point2 Homes, you can easily browse through Bridle Path, Toronto, ON single family homes for sale, townhomes, condos and commercial properties, and quickly get a general perspective of the real estate prices. Also, you’ll never miss a bargain if you filter listings based on house price drops in the past six months. Use the map view to find Bridle Path, Toronto, ON homes and apartments for sale, based on amenities or city features that you may want close by. You can close in on a specific neighbourhood or area by simply drawing around them with the polygon or radius tools. Stay informed about the latest entries on the real estate market by saving your searches. This way, you get new listings in your inbox, daily or every week, based on your preferences. If you’d like to get in touch with a professional, agents are displayed next to their listings, and they’re easy to contact through the online forms. 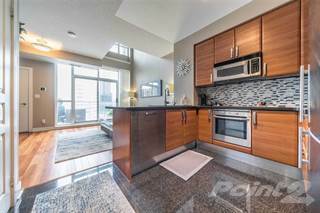 If you want more options, you can click the Tools tab and Find an Agent, and you’ll get a list of helpful and knowledgeable real estate agents in Bridle Path, Toronto, ON. Visit the Point2 Homes blog and you can find up to date expert advice on many markets throughout Canada, regular market reports, neighbourhood scoops in cities throughout the provinces, real estate deals and useful recommendations. Bridle Path was once part of North York before it became a neighbourhood of Toronto. 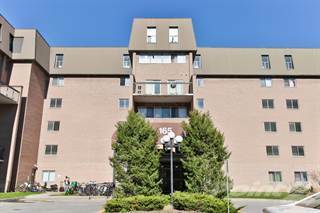 The neighbourhood is known as one of the most affluent areas in Canada, which can be seen in the many mansions and sprawling, well-manicured lots that line the streets here. Park area borders the neighbourhood on three sides, and there are several golf courses nearby. Surrounding neighbourhoods offer a variety of amenities, keeping the Bridle Path neighbourhood predominantly residential. 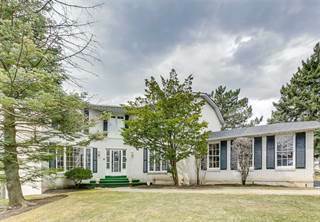 Bridle Path is located in the northern part of Toronto, near North York. The neighbourhood extends from Bayview Avenue in the west to Wilket Creek in the east, and from Windfields Park in the north to Suncrest Drive in the south. Bridle Path is an upscale neighbourhood with large, luxury homes on sprawling estates. The neighbourhood is almost entirely residential, with some small commercial pockets in the southern section. Park areas and Wilket Creek provide beautiful views for those walking or biking along the many paths in the area. The Ontario Science Centre is located southeast of Bridle Path and offers a hands-on and interactive experience. Various displays and exhibits provide fascinating information about the science behind things like the circus, sports, candy, sound, animation, and space. The centre can be booked for birthday parties, sleepovers, group tours, and school fieldtrips, and is also available for other types of private functions. The onsite IMAX theatre plays a variety of science-themed films suitable for people of all ages. Located west of Bridle Path is For The Win Board Game Café, which has a collection of over 900 board games available to rent and play at the café. Game examples include murder mysteries, role-playing, historical, fantasy, spelling, mathematics, science, cards, and classics such as chess. The café also has a large catalogue of games for purchase, as well as popular trading cards. Customers can order a beverage and snack to enjoy while they play. Tournaments and other events are held throughout the year and often have specific themes. Bridle Path has few dining options, and the ones that are in the neighbourhood are located near the Sunnybrook Health Sciences Centre. Druxy’s Famous Deli is a chain restaurant with locations around the city and elsewhere in Ontario. The restaurant offers a variety of sandwich, soup, and salad options, as well as breakfast items. The Goose, located northeast of Bridle Path on Leslie Street, is a British-style pub with a quirky, eclectic décor. Entertainment comes in the form of pool tables, dartboards, and big-screen TVs. The menu features hearty pub grub and a variety of beverages, including numerous beers on tap. Parmigiano Trattoria is located southwest of Bridle Path on Yonge Street and is a simple, comfortable spot for Italian cuisine. The restaurant offers dine-in and take-out options (with online ordering), and is available to book for group functions. Single-family homes make up the majority of housing in Bridle Path, with some apartment buildings and other dwelling types. The average price for single-detached homes in the area is $2,240,000, which is much higher than the average price for single-detached homes in Toronto overall ($730,472). The population of Bridle Path is 8,713, and this has been rising slightly for the past 15 years. Families make up 15% of the population here, 50% are couples, and 35% are single. The average annual income is $313,939, which is much higher than the average annual income in the city as a whole, and 89% of residents are university or college educated. As part of the large city of Toronto, Bridle Path is sometimes affected by air quality issues due to heavy traffic and industry sources nearby. Areas close to main roadways and busy commercial hubs can also experience noise issues. Bridle Path has low rates for most types of crime. The most common types of crime in the area are breaking and entering, and theft under $5,000. Schools in Bridle Path include Park Lane Public School and Crescent School. Other school options can be found just outside the neighbourhood and include Crestwood School, St. Bonaventure Elementary School, Lawrence Park School, Don Mills Middle School, and Don Mills Collegiate Institute. There are no post-secondary institutions within Bridle Path, but options exist just outside of the neighbourhood and include Citi College of Canadian Careers, Stanford College, CDI College, Seneca College, Academy of Learning College, York University, and the University of Toronto. The Toronto Transit Commission operates several bus routes in and near Bridle Path, including routes 11, 11A, 11C, 51, 54, 95, 95E, 122, 124, and 162. The 1 – Yonge-University and 4 – Sheppard subway lines also run near the neighbourhood. Bus routes and subway lines running through and around the neighbourhood provide access to other areas of Toronto, as well as surrounding communities. Windfields Park is on the site of a former farm and features a playground, a creek, walking/biking paths, greenspace, and treed areas. The Wilket Creek Trail runs through the park and links it to other parks and greenspaces nearby. Edwards Gardens is a former estate garden that features a variety of perennials, wildflowers, rhododendrons, and roses, as well as an arboretum and children’s teaching garden. Birdwatching and hiking along Wilket Creek are popular activities in the area. The well-manicured grassy areas and beautiful flowers make it a popular spot for wedding photography. Sunnybrook Park is a former farm, with preserved stables that house horses for a public riding school that now operates in the park. The park is home to many species of plants and animals, such as sugar maple trees, eastern hemlock trees, snapping turtles, and great blue herons. Biking, hiking, playing sports such as cricket, and picnicking are all popular activities in the park. Residents of Bridle Path do not have a recreation centre in the neighbourhood, but there are a few in nearby neighbourhoods. Branbury Community Centre is just north of Bridle Path and has four tennis courts, a sports field, two playgrounds, and a sandbox. The centre itself includes two multipurpose rooms, a large banquet hall, kitchen facilities, and a lounge area. Programs offered at the centre include crafts, arts, dance, music, aerobics, pilates, and sports. Bedford Park Community Centre, west of Bridle Path, has a gymnasium, an indoor pool, kitchen facilities, and two dressing rooms. Programs offered at the centre include day camps, yoga and pilates, basketball, gymnastics, martial arts, soccer, racquet sports, and swimming. Two nearby libraries, Locke Library and Don Mills Library, provide additional programming for people of all ages.